James MacAskill Stonor, the baby of his family, is the straw that broke the camel’s back in his parent’s unusual marriage. 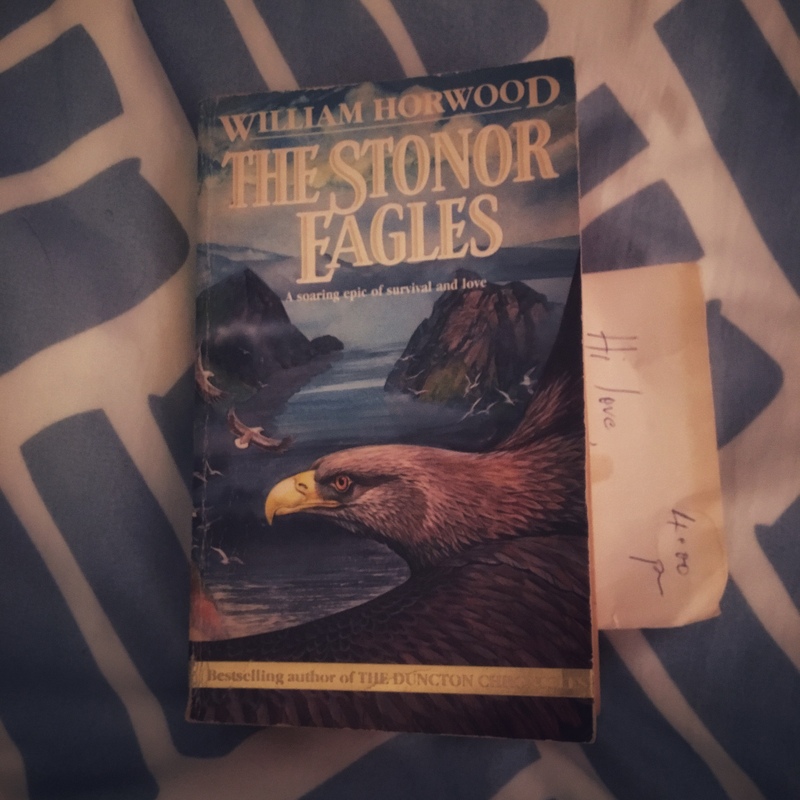 The Stonor Eagles follows Jim as he navigates life from an idyllic but unhappy childhood in Deal, Devon, to a complex adult life, explored through his work as an artist. His greatest achievement is the Eagle series, built on mythological stories of the endangered sea eagle, first told to him by his broken father, who carries guilt for the destruction of the last breeding pair on his home of Skye, and embellished on by the artist. The three arcs–of the artist, the art, and the eagles–are tied tightly in an elegantly interwoven narrative. There are many places where you don’t see the parallels coming in each arc until they are upon you. Horwood manages an exquisite damning of man and progress, of broken families and dreams, but leaves the reader on a note of hope. A gentle reminder that you can come home again. The Stonor Eagles is literary in feel and scope, but the plight of the eagles strikes a deeply fantastic tone to the story. I would highly recommend this to anyone who cares about what we do to the planet, or enjoys a good redemption story. William Horwood was already a favourite, but this novel has elevated him once more in my eyes.